out of the south today. Because of this, my customers opted for calmer seas and fishing for action in the Gulf of Mexico. We lost a good king mackerel about 10 ft behind the boat, but we made up for it later by catching one just before it was time to come home. 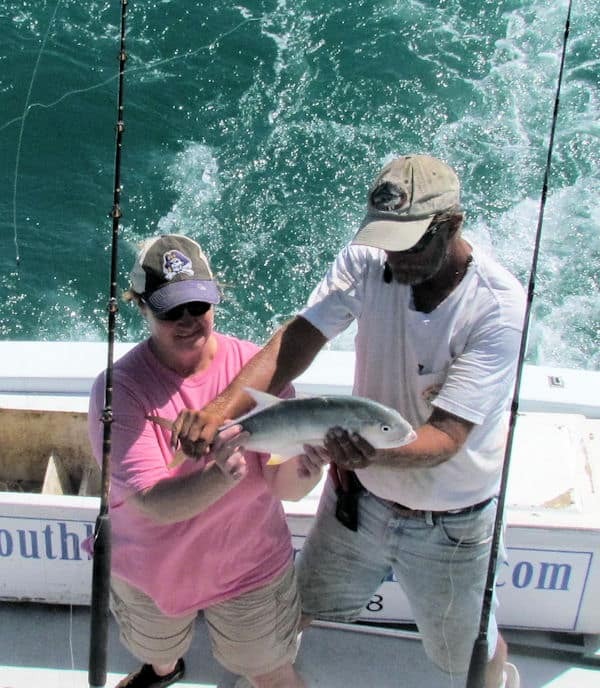 We fished around Smith Shoal Light and caught some more Cravalle Jacks. They are not good to eat, but they are strong fighting fish and fun to catch. We’ve been fishing that area the last few days and there seems there is always a school of Cravalle Jacks hanging around the Shoal. around the lighthouse too. They are not large, but they are tasty. We got the first Barracuda in a few days around the Light. I know they hang there, but there is so much bait around, the Barracuda have not been hitting our baits. We did have one take a Spanish Mackerel on us. All we go was the lips. I guess the Barracudas have to eat too. 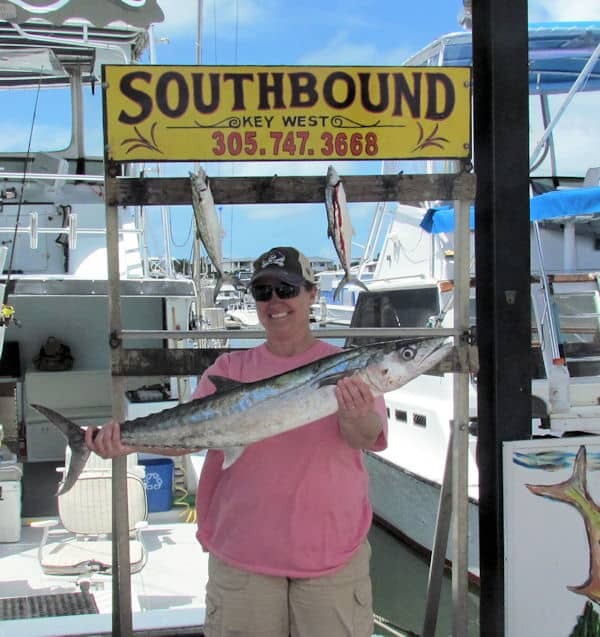 about fishing out of Key West. We can usually find calmer waters for those that don’t want big waves. Today, It was a good choice as the wind was blowing around 20 mph by the time the trip ended. Getting action in the Gulf Of Mexico gave us protection from the islands. The waves were only about 1-2 ft. On the Atlantic side, it was at least twice that on the reef. If you went offshore looking for Dolphin it was more like 4-6ft seas. and The Southbound can handle it. I’ve been in seas up to 12 or so. It’s not a lot of fun and it will flat out wear a body out. But we can do it. But it’s not for every customer. 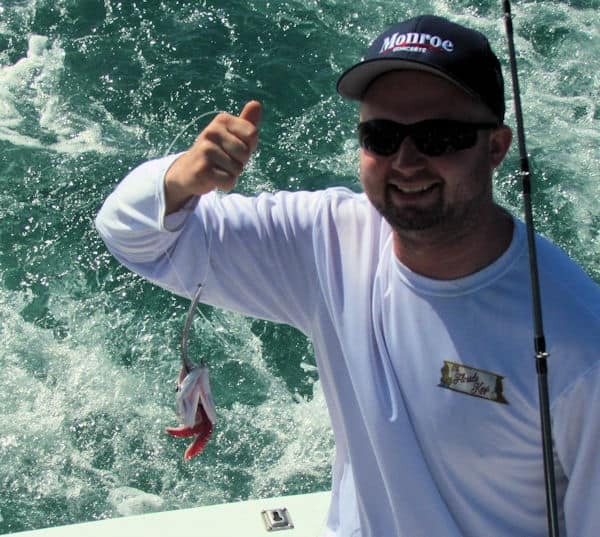 The whole idea of a charter fishing trip is to have fun, or at least it should be. So I always give my customers an honest idea of what the conditions will be and what their options are.